Rigdzin Kumaradza (Tib. རིག་འཛིན་ཀུ་མཱ་རཱ་ཛ་, Wyl. 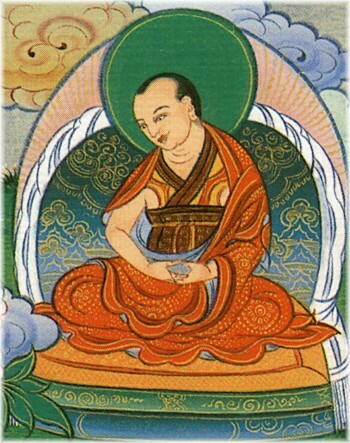 rig 'dzin ku mA rA dza) or Kumārarāja aka Shyönnu Gyalpo (gzhon nu rgyal po) (1266-1343) was a student of Melong Dorje and the Third Karmapa Rangjung Dorje, and the main teacher of Longchenpa. Dudjom Rinpoche, The Nyingma School of Tibetan Buddhism, Its Fundamentals and History, trans. and ed. by Gyurme Dorje (Boston: Wisdom, 1991), pages 568-572. Nyoshul Khenpo, A Marvelous Garland of Rare Gems: Biographies of Masters of Awareness in the Dzogchen Lineage (Junction City: Padma Publications, 2005), pages 93-97. This page was last edited on 17 November 2017, at 08:07.